Home Values have risen dramatically over the last 12 months. In Core Logics, most recent Home Price Index Report, they revealed that national homes prices increased by 6.7% year-over-year. 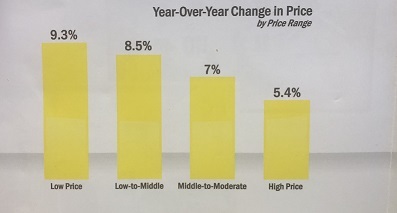 The chart below shows the four price ranges from the report, as well as each ones year-over-year growth from February 2017 to February 2018.